A public exhibition will be held at the Town Hall next Monday (1 September) to detail the district council’s plans for Chippy’s future, as set out in its Local Plan. As covered by Chippy News previously, the consultation period for the Local Plan is currently underway – it closes on 19 September at 5pm. The Local Plan sets out where future housing in the district should be built – plans for Chippy include the Tank Farm area of town. The scale of proposed development may also mean a new primary school for the town is also needed. So if you want to know more about the plans for our town’s future, and how you can have your say, the public exhibition will take place on Monday 1 September from 2pm until 7pm. 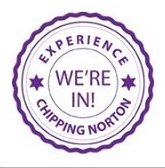 This entry was posted in news, places and tagged Chipping Norton, consultation, development, future, housing, local plan, West Oxfordshire District Council. Bookmark the permalink.